Pre-Chingming Yin Hao is doubtless one of the most delicate Greens I’ve ever brewed. Though as I don’t have a lot of experience with Pre-Chingming yet, it’s difficult to know if Yin Hao is the norm. I’m kind of at a loss for words in describing the color of the liquor: an opalescent yellow-tinged jade? In aroma, i only detect the faintest scent of chlorophyll and lilac. Flavor-wise this rare Yunnan tastes little like most Chinese Greens. More closely resembling a Nepal White, Pre-Chingming Yin Hao tastes like nothing so much as pure White Tip with a hint of cucumber. 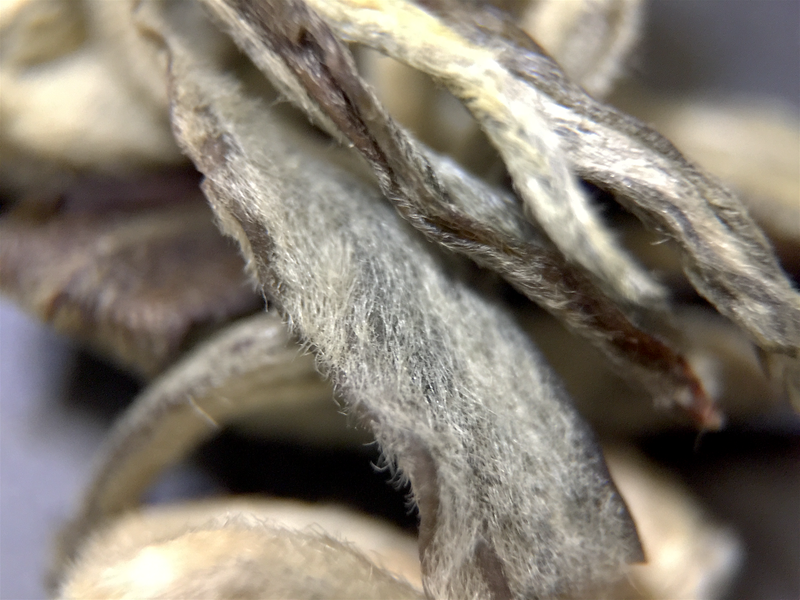 In terms of its texture, Pre-Chingming Yin Hao is dominated by its furry downy Tip. Yet, whereas other Tippy Greens tend to be rough and tumble around the mouth, Pre-Chingming Yin Hao has a light and refreshing soft furriness that drifts slowly off the tongue. Brilliant. Best in its Class. Exactly what tea ought to be. If given the choice, i can’t imagine why i’d choose something like coffee over this. Pre-Chingming Yin Hao (Upton) ~ loose leaf by Jocilyn Mors is licensed under a Creative Commons Attribution-ShareAlike 4.0 International License. Pre-Chingming Yin Hao (Upton) ~ loose leaf macro by Jocilyn Mors is licensed under a Creative Commons Attribution-ShareAlike 4.0 International License. Pre-Chingming Yin Hao (Upton) ~ spent by Jocilyn Mors is licensed under a Creative Commons Attribution-ShareAlike 4.0 International License. Pre-Chingming Yin Hao (Upton) ~ liquor by Jocilyn Mors is licensed under a Creative Commons Attribution-ShareAlike 4.0 International License.